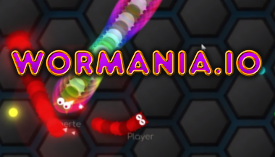 Wormania.io | Play Wormania.io free on iogames.space! Don't hit other worms unless you have the star powerup, in which case you want to run in to as many worms as possible before the time runs out. The customization gives you endless possibilities to make your worm look exactly like you want it, it can take the shape of a spiky cactus or a mechanical space worm. Select main color, stripe color, skin and flag. There are 8 skins and 8 hats to choose from. Four of the hats are crowns that are locked, they can be equipped if you make the top list in a previous game. The flags gives you an opportunity to represent your country, a youtuber you follow or your favourite meme. 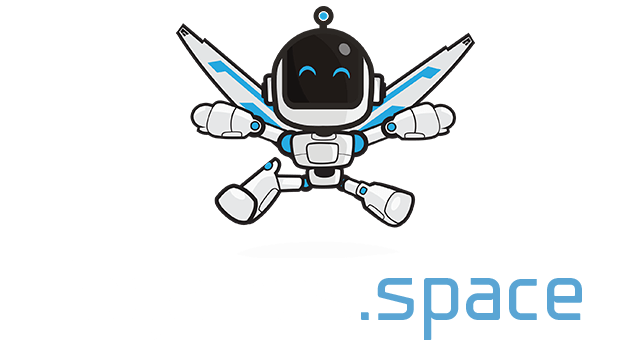 Weave your way to the top by eating gems and powerups, make other worms explode or cut their tail off if you have the star powerup. The gems that a worm has eaten will get dropped on the map when explodes. Boost if you need to get ahead or run away, boosting will make you lose gems and the boost will stop if you run out of gems. Powerups can turn the tides in an instance. The star makes you invincible for 10 seconds. It also gives you the ability to cut other worms if you collide with them. Other worms have to run away from you during since they will lose a great amount of their hard earned gems if you cut them in half. Having the star powerup does not protect you from other worms with the same powerup, you can still get cut by other worms. The blue triangle is a boost that gives you more speed that decays over 3 seconds. This powerup can be used in combination with the regular boost, giving you a super boost for a short period of time. The quickest way to grow into a big snake is to eat the gems from a worm that recently died or a tail that got cut off. Keep close to large tails in case they explode and drop a lot of gems. Use the speed from the boost powerup to rush in front of other worms, this gives them very little time to react and may catch them by surprise. Make sure that there is a clear area behind the boost powerup as your control and reaction time will be limited when boosting and you may end up running in to another worm. When you are really big you can trap other players by completely surrounding them with your worm. The only way for players to escape this trap would be for someone to cut you with the star powerup. Be aware of players that have the star powerup as you are the most rewarding to cut if you are a big snake.